Lithium-Ion Battery Recycling Technique | HOBI International, Inc. Researchers at Rice University in Houston say they have a solution to deal with difficult-to-recycle lithium-ion batteries used in electric vehicles, cell-phones and various other electronic devices. Using an environmentally friendly deep eutectic solvent, the solution can extract recyclable elements from the metal oxides commonly used as cathodes in lithium-ion batteries. 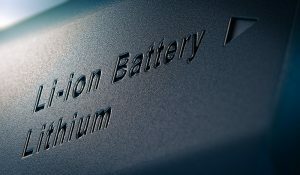 The researchers say that the goal of the solution is to recycle batteries and also to keep batteries out of landfills. Materials scientists Pulickel Ajayan and colleges at a Rice laboratory say they have used an environmentally friendly deep eutectic solvent to extract, recyclable elements from the metal oxides commonly used as cathodes in lithium-ion batteries. The solvent, made from choline chloride and ethylene glycol, extracted more than 90 percent of cobalt form powdered compounds, and a smaller but still significant amount from used batteries, according to the researchers. The researchers have built a small prototype battery and found that the prototype could recover rare, in-demand metals such as cobalt, through precipitation and electroplating to a steel mesh, with the latter method potentially allowing for the deep eutectic solvent itself to be reused.